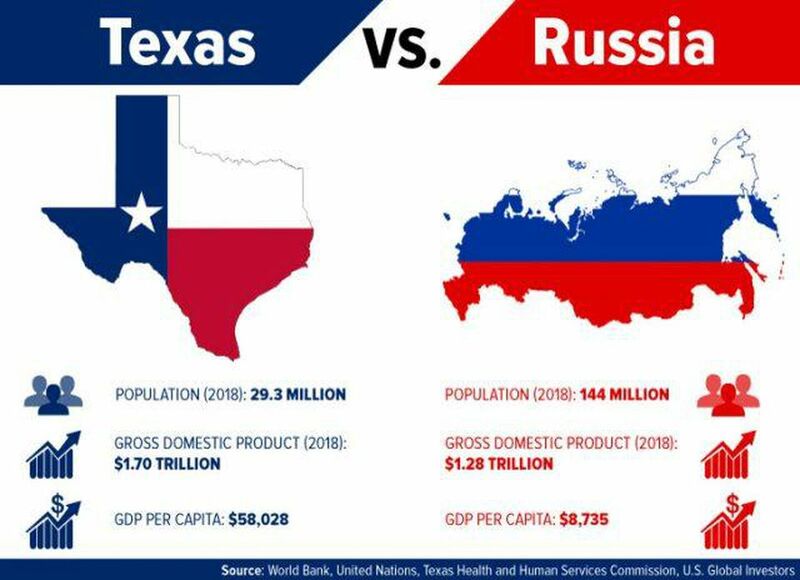 There is perhaps no greater example of the benefits of free markets than the economic comparison between Texas and Russia. The Russian Federation is about 25 times larger than Texas and yet you would not know that by looking at the economic measurements. According to a recent article by Forbes, everything is indeed bigger in Texas including the economy. In fact, if Texas were its own country it would have a larger GDP than Russia and Canada. 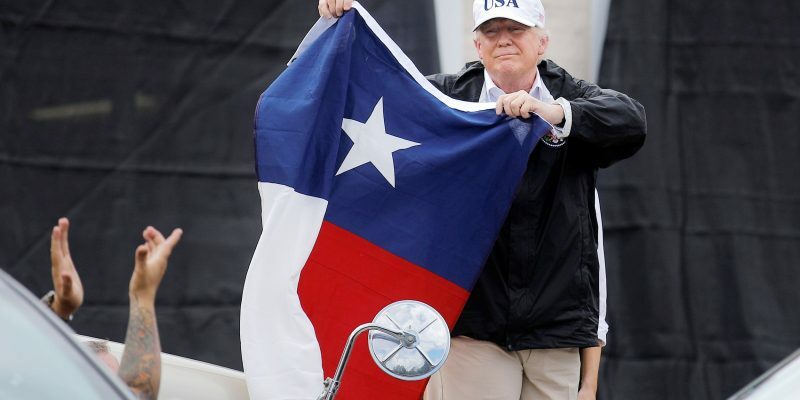 While the Lone Star State has less than one fourth of the population of the largest nation by area, it boasts an impressive $400 billion lead in Gross Domestic Product and nearly $50,000 GDP per capita. According to the country’s energy minister, the Russian Federation leads the world in crude oil production with a whopping 10.9 million barrels per day in January 2018. Texas holds its own at 4 million barrels per day with domestic oil production accounting for nearly a third of employment growth according to the Federal Reserve Bank of Dallas. One benefit that Texas has over the Eurasian rival is that the economy is much more diversified whereas Russia is highly dependent on petroleum exports. The United States’ second largest state has taken an “all of the above” energy approach which has led to it not only leading the nation in natural gas but also in wind energy which powers over 4 million homes and is on track to surpass coal by 2019. The optimistic economic forecast for Texas has helped lead to it being one of the fastest growing states in the nation with roughly 1,000 new residents per day. 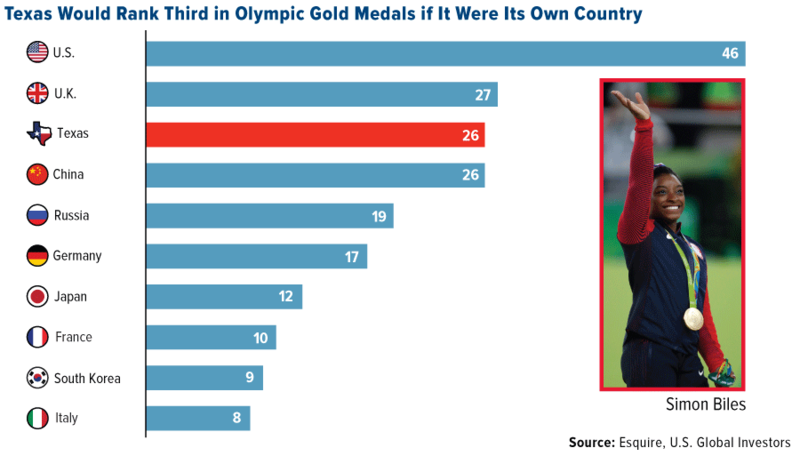 FUN FACT: If Texas were its own nation, it would actually lead Russia (and tie China) in Olympic gold medals by a score of 26 to 19! These numbers further prove what we already know: that Texas is and will remain an example to the world, the shining city on top of the hill.